Was present when the ELS Group launched the CNY Most Wanted Kitchen Challenge 2017, a web reality series focused around the search for the best home cooks for the 2017 Chinese New Year. The web production will be done by RedBoy Productions and they are opening the registration when they do their on ground road shows (selected ELS group dealer's outlets) across Malaysia. From what I understood, participants register themselves at the road shows, get votes via the web series (that'll be on ELS' facebook page), and 6 finalists will be picked to compete i the grand finale at Jaya Shopping Centre on the 8th of January. The judges will be the head of ELS Group and culinary expert, Agnes Chan. The prizes are pretty attractive too, 10 hampers for Facebook voters, RM388 for the 3 finalists that didn't win the top prizes, RM688 for 3rd place, RM1,388 for the 2nd place and the winner walks home with RM3,888. To participate is pretty simple, just buy any ELS products and register at the roadshow counters. When I spoke to Redboy Production, they told me that they'd even go to the homes of the participants to help record the cooking process so it'll look professional. From what I understand, you don't even have to use their full range of products in your cooking, just use at least 1 of their products as part of your cooking would do. 50% of the scores will be given by the judges and the other 50% is by votes. In a way, the participants' supporters play a big part in getting the participant(s) to get into the finale. And in the finale, the 6 finalists will be given a random menu and RM100 to buy their ingredients and cook. Pretty fair because they can't plan ahead. Looking at the prize, maybe I can take part as well? But then, getting the votes is pretty hard for me. Even the interpretation of the menu will pose a problem for me as I'm not that imaginative when it comes to cooking. 1. Bring water to a boil (in the pot) and turn off flame. 2. Placed eggs into the pot and set timer for 3 1/2 minutes (for room temperature eggs) / 7 minutes (for eggs from fridge). 3. Remove eggs from pot and break the shells. 2. Placed eggs into the pot and set timer for 5 minutes (for room temperature eggs) / 8 1/2 minutes (for eggs from fridge). 3. 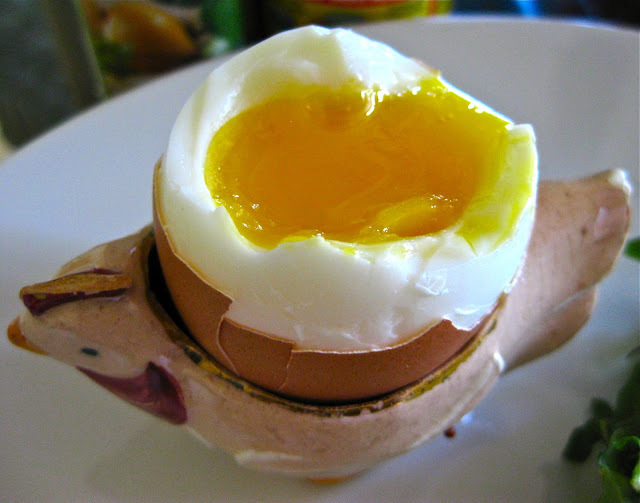 Remove eggs from pot, serve on a egg cup and tap the shell gently from the top to break. 4. Add a sprinkle of salt and pepper to taste. 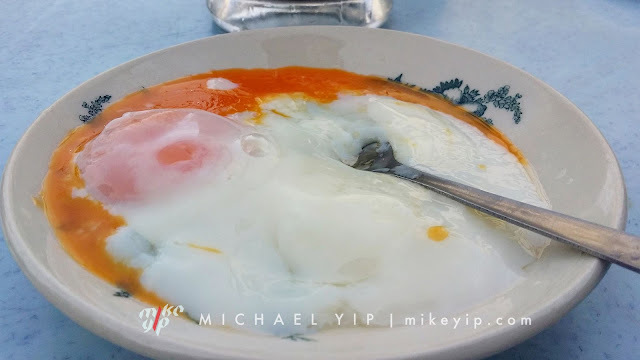 A point to remember is that even after you remove the eggs from the hot water, it will still continue to cook inside the shell, so leave it in the shell for too long and you'd get a different result. 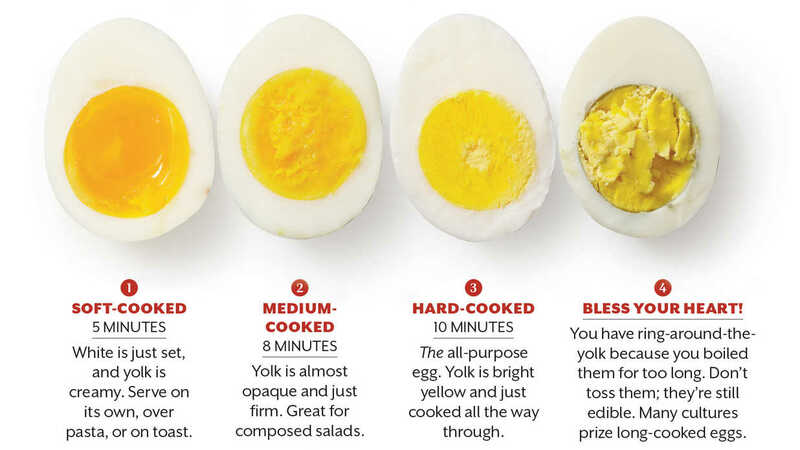 Bonus tip: For Hard Boiled Eggs, whether you're deshelling a single egg or a large amount of eggs in the fastest way possible. I do this often when I was helping out at a relative's restaurant and we need to get food prepared in the most efficient manner. 2. Pour water in - about 1/4 of the bowl would do. 4. Shake and watch the shells get shed from the white. Do you have any other tips that you know is good? Do share with us by commenting below. Seasoned to your preference. For wild salmons, all we need is a pinch of salt and black pepper. Pre-heat airfryer at 180°C for 15 minutes. 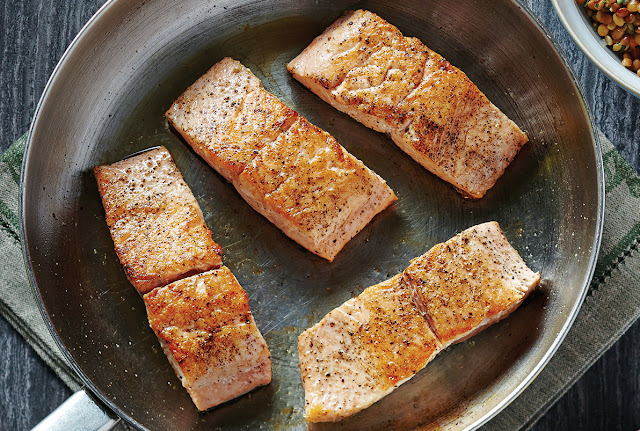 Arrange the fish with skin side up (if you want to fry with the skin), especially with farmed salmon, it will get super oily and if your skin is at the bottom, it will not be crispy. Wait for Magic to happen. To achieve Crispy skin, open the air-fryer at 4th minute and peel the skin off the top of the fish and place it besides the flesh so it will cook by itself. Remove fish from Air-Fryer after it is done. Once it's done, remove from tray and decorate on top of the fish before serving. Now, if you wish to place a big piece of salmon into the air-fryer instead of cutting it up, do sear the skin to allow it to cook through. First time I tried it without searing the skin, the middle of the flesh was not cooked through. My mistake, but at least it can be a tip for those who wants to do the same as me. 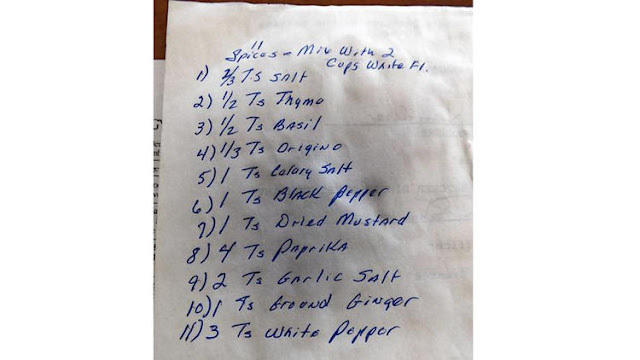 Do you have a good recipe for sauce to go with the salmon? Why not share with me by commenting below? Air-Fried Sweet Potato in 20 minutes! Here's how easy it is to make Air-Fried Sweet Potato! 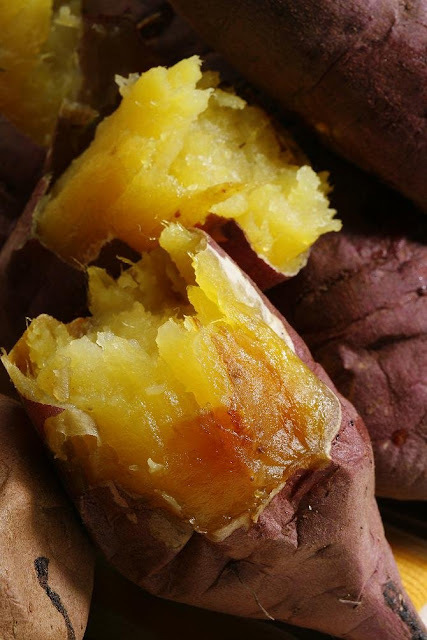 All you need are .... Sweet Potatoes (Depending on how much you can eat) and an Air Fryer! No brands need to be mentioned here cause I don't get sponsored for making my own meals. Sweet Potatoes, you can get from the wet market or from any hypermarket. One thing my mom (Yes, I still rely on my mom to consult me on a lot of things regarding cooking, she's my Masterchef!) told me is that sweet potatoes purchased from hypermarkets take a longer time to cook as compared to the ones we buy from the wet market. Wash the Sweet Potatoes properly to remove excess dirts. Set timer to 20 minutes and wait for the magic to happen. For sweet potatoes from hypermarkets, you'd have to cook it for 25minutes. Remove from Tray and EAT once you hear the chimes of the timer when it's done. Easy and fuss free. 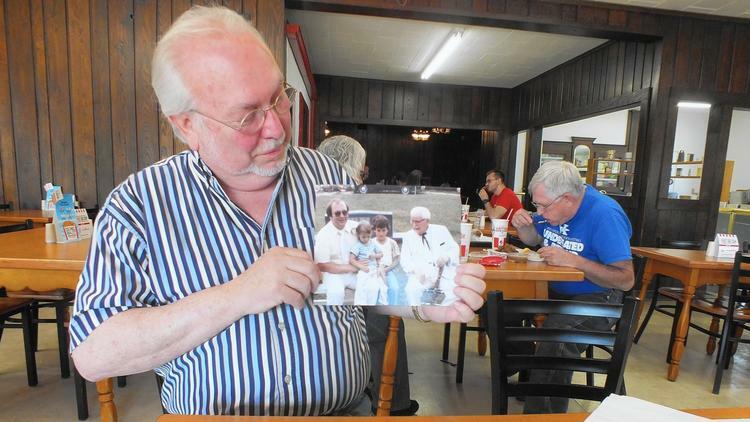 It's a tad more work than making Air-Fried Roast Pork but just as much fun to eat. Got an interesting tip I should also try with the Air-Fryer? Let me know in the comment below. I love Bacon, I love Mayonnaise. One thing that crosses my mind was, why hasn't anyone bottled it together yet? It'll be an awesome dip we can bring everywhere for breakfast, lunch, dinner and supper. Right? Now, I'm no Gordon Ramsey, I can't wipe one up magically just like that. So, the next best thing is to search the internet for the best recipe I could find to make my own. Here's what I felt is the bestest one yet. Pan fry the bacon to crisp, once it's nice and crispy the way you like it, remove it from the pan but make sure you get all those excess oil off the bacon. Let the oil bubble on the pan for a bit more so that excess water from the bacon is cooked away leaving you with just the oil. Strain the oil so that so that nothing but just the oil is collected and mix it in with the 12 oz of olive oil. Bring out a blender, put in the 2 whole eggs in (minus the shells) and let the blender work the magic in slowest speed on your machine. Don't crank up the speed or you'd spoil the eggs even before you start. You've been warned! Slowly pour the oil in a small steady portion while the eggs are being blended. As it starts to thicken, add in all the remaining oil, salt, pepper and lemon juice into the mix and stop the blender. From start to end, it should only take about a minute. Now that the hard work is done, you can extract the baconnaise from the blender into a container. Remember those bacon you fried earlier? crunch them up into small pieces and mix it in into the baconnaise for the finishing touch. Now just a note, I don't know how long you can keep the Baconnaise in the fridge cause I usually finish mine within 2 days. Enjoy and let me know at the comment below how yours turn out. Before I go on, I must admit that I was never a fan of oysters until 2011 because up until then, most of the oysters I tried does not have any flavors and taste pretty much the same. Then I met a chef that taught me to make Guinness Cream that basically helps mask the smell that I don't like and add flavors to the oysters that is pretty much tasteless. Guinness and oysters is a match made in heaven, and this dish is all about creaminess and the contraste of temperatures. 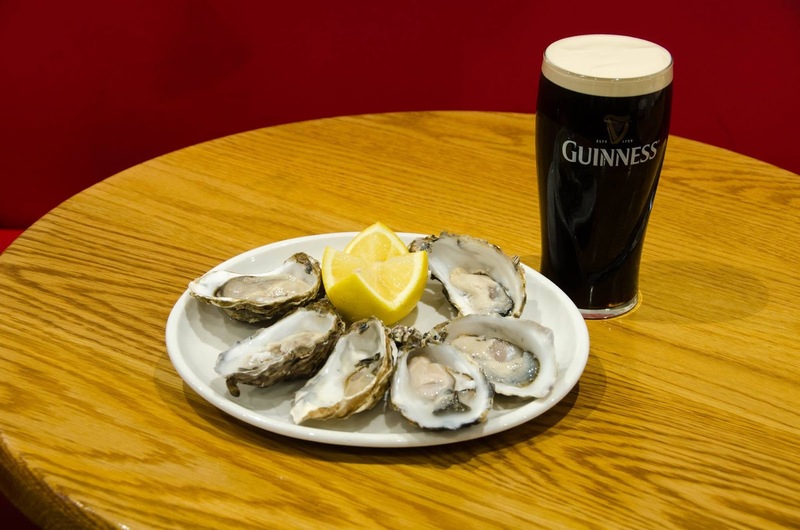 The cold creaminess of the oyster matched with the warm creaminess of the Guinness cream. Here's how we made it. 1. Over a warm double boiler, whisk the egg yolks, salt and Worchestershire sauce until creamy. 2. Add 100ml of Guinness in slowly and continue whisk until thick and creamy. 3. Serve with 6 oyster with lemon wedges and finely chopped chives. Yup, it is as simple as that and I have to say that I've never looked back. 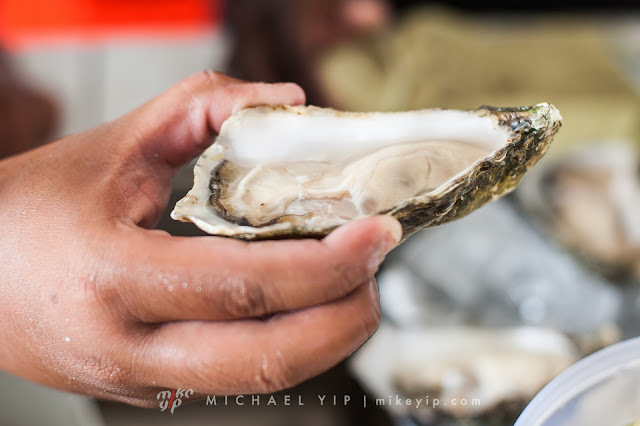 Of course, knowing friends that knows how to appreciate Oysters also taught me a bit more on how to enjoy the flavor, the taste and the type of oysters that is available from around the world. Give it a try, and let me know how your Guinness cream turns out. 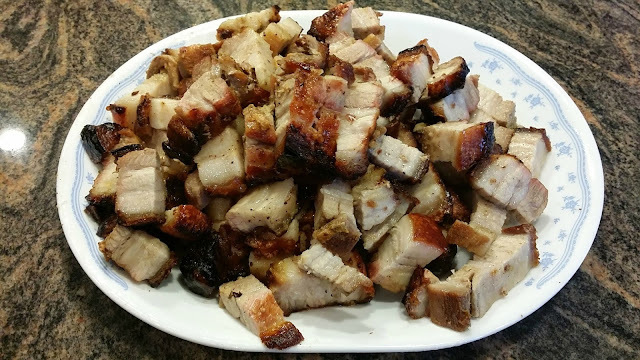 Been asked by friends who owned Air Fryers to give tips on a simple way of making Roast Pork at home. Better known as Siu Yuk (燒肉), the process is pretty simple once you have everything on hand. Before heading out to the market to get a piece of pork for your attempt, remember to roughly measure the size of the air fryer in your home. I’ve had friends who attempted it and prepped a huge piece of pork only to realized that it wouldn’t fit until she had to slice it in two. Now, I prepped my meat the day before because I want to make sure the rubs get into the meat nicely (and I don’t like to rush). Wash the slab of meat under running water and pat dry with kitchen disposable paper. Place on Steamer Rack while you prepare the next step. Boil a pot of water and blanch the Pork Belly for approx. 15minutes. Placed on Steamer Rack again and pat dry with Kitchen paper. Allow it to be air dried in the open for about 4 hours. Remember to put a Satellite Dish Cover over it to avoid flies attacking the meat while you go about doing other things. Apply the dry rub onto the meat, I placed quite a lot on mine, including the sides. Placed pork into Fridge (not the freezer) for overnight. Take out 30minutes before you plan to cook so that the meat can rest a bit. 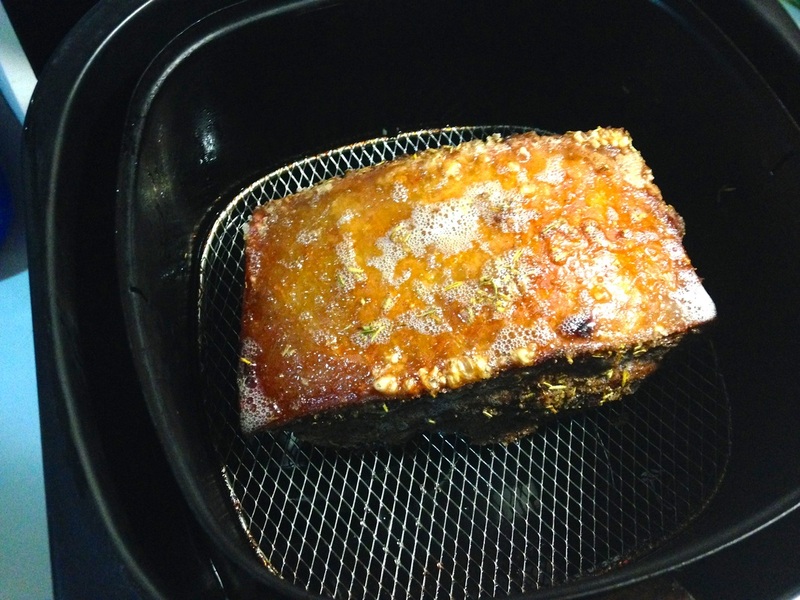 Pre-Heat the airfryer at 160 degrees for 5 minutes, then place the pork belly in to cook for 30 minutes! After the 30 minutes, for those of you who cooked the pork with a layer of salt, remove the pork from the airfryer so you can remove the layer of salt from the top of the meat. Next, turn up the temperature to 180 degrees and continue airfrying for 25 minutes. 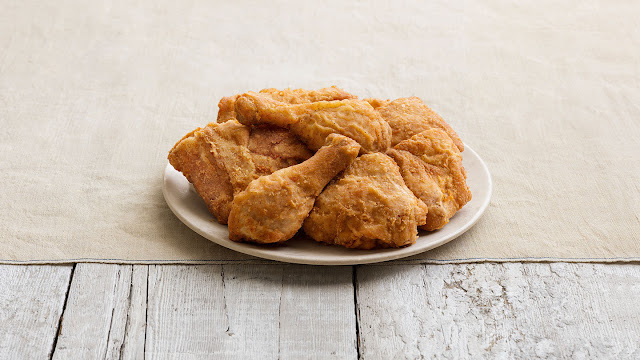 Once the airfryer is done with it’s duty, turn off the power, remove the roasted pork from the tray and place on the steamer rack again to allow it to rest before cutting. There you have it, simple steps to make your own homemade Roast Pork. Slice, decorate and serve. I made 2 version but the one you see above is the one with less salt on it. 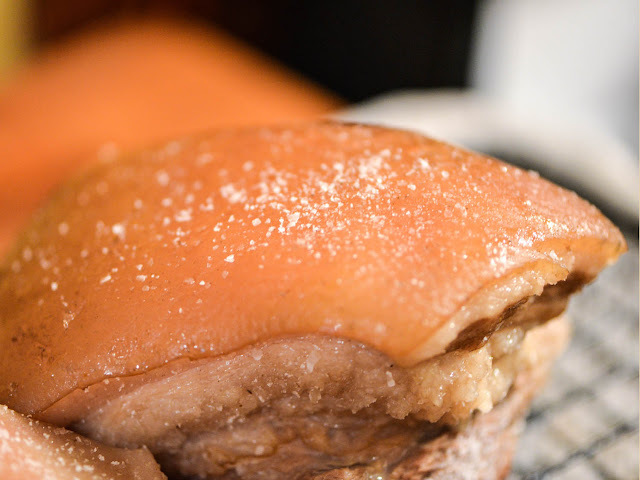 For those who wish to have less salt on their dish, you can try it the way I explained and for those who wish to have a bit more authentic version of Roast Pork, you can follow Step 6 but follow the steps for the salty version. Enjoy and hope you are successful in creating your Roast Pork Masterpiece. Do share with me on your results! If you have other ways or tips, do share with me too!